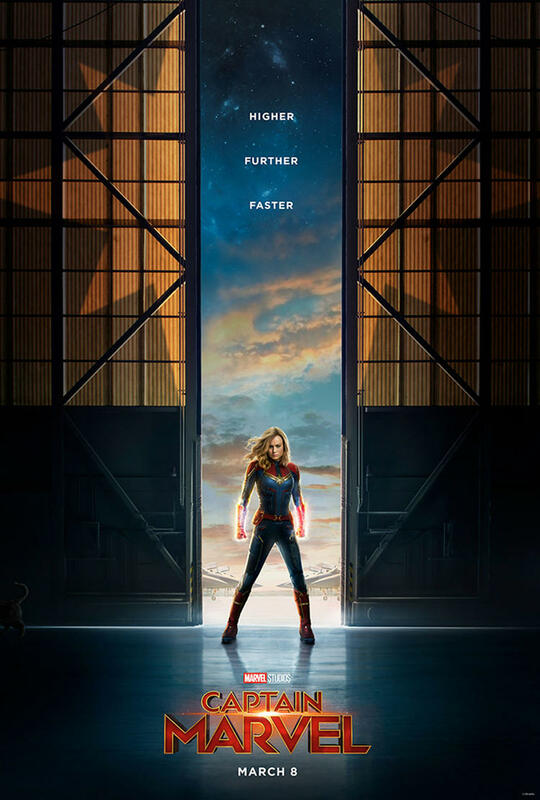 The official first look of Carol Danvers in action first debuted minutes ago on Good Morning America, but don't worry, we've got the trailer for Marvel Studios' Captain Marvel for you here, below! We're 170 days away from cosmic hero Carol Danvers' Marvel Cinematic Universe debut when "Captain Marvel" lands in theaters next year, March 8, 2019. If the trailer is any indication, we're in for a mighty blockbuster full of space invasions, big car chases, and seeing our lead go full binary! The footage opens up with Carol Danvers in her Starforce uniform crash landing in a Blockbuster, pulling S.H.I.E.L.D. agent Nick Fury into a world of possibility. Fury tells Danvers he was "ready to hang it up until I met you today." What does Carol's arrival mean for S.H.I.E.L.D. and Earth, at large? From the looks of it, a war between the Kree and the Skrulls. Danvers reveals she's not entirely sure what her connection to Earth is; however, she has memories and flashes of her previous life as a child, a cadet, an Air Force pilot. What makes a hero? The powerful montage of witnessing Danvers getting right back up again every time she falls gives viewers a glimpse of who Carol Danvers has always been. In addition to the trailer above, we've got the first "Captain Marvel" poster asset below. Check it out!